Planning to over do it this New Year's Eve? Strings Ramen Executive Chef Katie Dong has you covered, with the ultimate hangover cure: Miso Ramen with Kuro Buta Loin, at a special price of just $9.95, beginning New Year's Day, continuing through January 3. Usually priced $13.95, this post-party remedy features a chicken and turkey broth, simmered with three types of miso paste: red, white, and brown, drizzled with toasted garlic and sesame oil. From there it's topped with Berkshire pork loin, scallions, sweet corn, bamboo and bean sprouts. While the carbs in ramen noodles, the protein in pork, are known hangover helpers, "the Japanese have relied on the numerous benefits of miso for centuries," says Chef Katie. "Miso is high in sodium, helping your body retain the water it lost the night before, re-hydrating you and restocking sodium levels. It's also rich in B vitamins, including Choline, which helps prevent the build up of alcohol in the liver and speeds up the discharge of it from the body. Miso is also a fermented food, which means it contains good bacteria and essential amino acids, helping settle your stomach and aid digestion," Katie explains. The specially-priced $9.95 Miso Ramen with Kuro Buta Loin is available January 1 to 3 at both Strings Ramen locations: 2141 South Archer Avenue and 919 West Belmont Avenue. Both locations open 11am to Midnight, including New Year's Day. 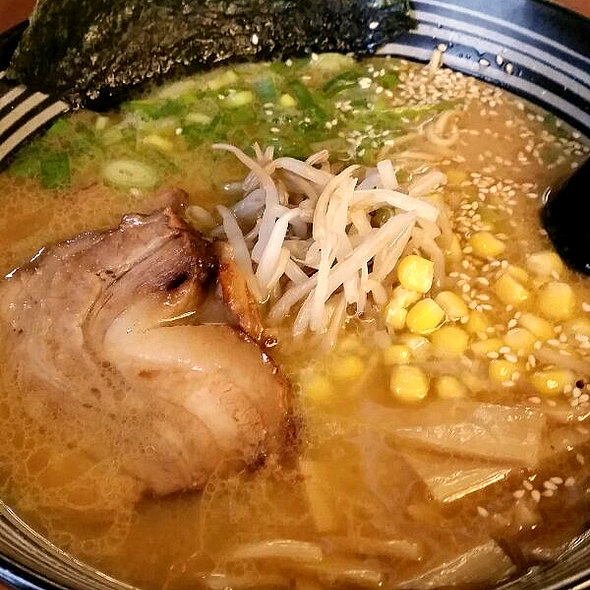 Miso Ramen with Kuro Buta Loin, at a special price of just $9.95, beginning New Year's Day, continuing through January 3.